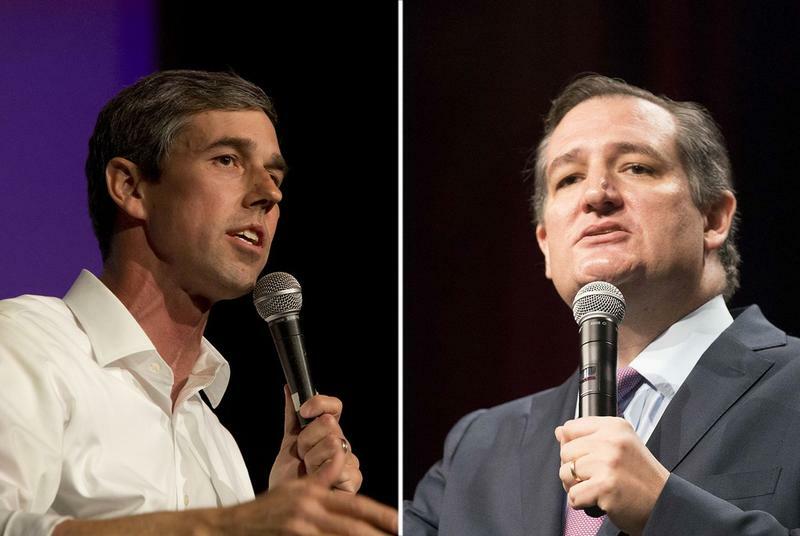 Democratic U.S. Rep. Beto O’Rourke is putting up a noteworthy fight against Republican Sen. Ted Cruz in the upcoming midterm elections, trailing Cruz by single digits in the polls. But O’Rourke winning the seat would be a long shot in Texas, which hasn’t elected a Democrat to the Senate since 1988. 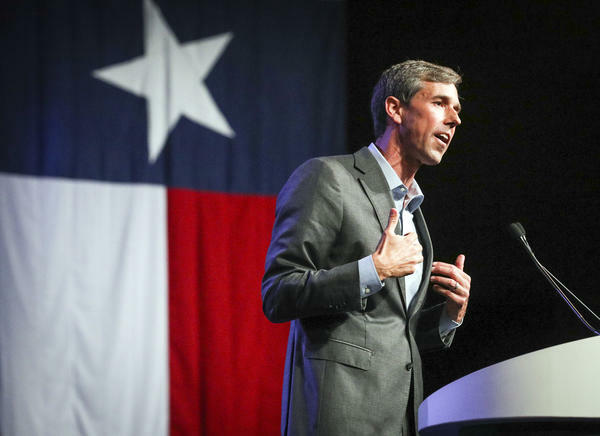 Here & Now‘s Jeremy Hobson speaks with O’Rourke (@BetoORourke) from the campaign trail. “Last night, I got six hours, which is great, but we’ll go through nights where we get less; we’ll go through nights where we get more. We’re in our 25th day on the road with a 34-day road trip that’s taken us to every single part of Texas, still nine more days to go. 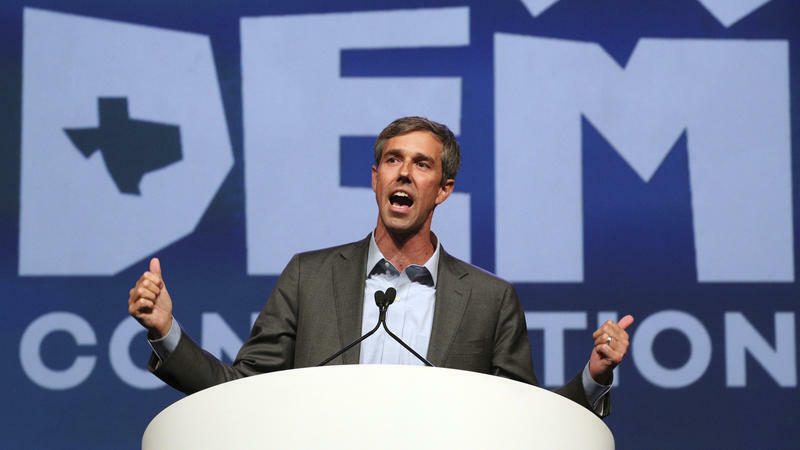 “Cumulatively, it’s kind of [caught] up to us a little bit, the compounded effect of Whataburgers and fried pies and beef jerky and not getting enough sleep and doing five or six town halls in five or six different counties a day. “However, the energy out there is absolutely electrifying and thrilling, so many good people from all walks of life, from both parties or no party at all, coming together, and no one is energized against another candidate or another party. What we’re excited about is what we are for, the big things we want to achieve. “It’s really for me not about who we voted for for president in 2016 or our party affiliation or even the issues that we may disagree on. The focus in this campaign and at this moment has to be on those things that we want to do together. “I know from having visited each of the 254 counties of Texas, I know from reaching out to Republicans, as well as Democrats, as well as independents, as well as people who don’t vote — they’ve given up on it or can’t vote because they don’t have status — that people want us to focus on the big, ambitious work before us. “This is the state that ranks last in the number of insured, whose largest provider of mental health care services is the county jail system. We should be the state that leads the way on guaranteed, high-quality, universal health care. “That’s something that you want to be able to do for your family, for your community, for the people in your lives, for yourself, because you know that when everyone gets care, the burden on everyone else rests a little bit lighter. Everyone’s able to finish their education, go to work, pay their taxes, live to their full potential. “We’ve absolutely got to repeal tax cuts that flow to the very wealthiest Americans, at a time of the greatest income inequality that this country has seen since the last Gilded Age at the end of the 19th century — tax cuts that flowed to corporations who are already sitting on record piles of cash, who already have unprecedented control of legislation and elections, especially after Citizens United equated them with people, and their money with speech. “Tax cuts for the working poor, for those working their way into the middle class, for the middle class, might make sense, but tax cuts for the wealthy certainly do not, especially when you have half of rural Texas unable to get online because they don’t have … broadband internet. “When you have a state that refuses to expand Medicaid, you have families and kids unable to afford medications or go to therapists or see a doctor so they can improve or even just live their lives in a state. “I’m a term-limits guy, so I believe so much in the people of this state, that I know that someone is going to succeed me in this position as U.S. senator and do just as good, more likely a better job, so I’ve committed to serving no more than two terms and then getting out of the way. “In much the same way, I think that party leadership should have some faith in other members of the conferences or the caucuses: Do what you can to advance the issues you care most about, and then signal that you have faith in those who follow you by getting out of the way. “On the one hand, it’s encouraging that our institutions, as a democracy under attack … like the courts, like these investigations that look into what happened in the 2016 election, that those are working. “I think that this investigation should be allowed to come to its conclusion. Only then, do I think we’re going to make the most informed decision, the decision that’s in the best interest of the country. “Regardless of how I would vote on that, the issue really becomes a political one, where you have an institution that’s a Republican-majority institution — you have colleagues of mine who need to go back and explain to their constituents how they voted to impeach the president of their own party. “Again, given the gravity of the situation and the importance of our country and the fact that what we do is the exception and not the rule in the history of the world, I hope it’s a decision that they place above party, above their career, above their next election, because it may very well cost them their next election. “You may have wondered when the president fired James Comey, the principal investigator into what happened in the 2016 election … whether that was obstruction of justice. But, there can be no question, at least for me, when the president tweets to his attorney general to end the investigation into what happened. “For whatever reason, that’s not compelling enough for my colleagues for this level of justice, this indictment, this step that would take it to a trial, and I’m going to respect that and I’m going to respect our democracy, respect these institutions, and I’m going to respect the fact that this is not something that we go into lightly.